Tower the Rider: Rouge dots? 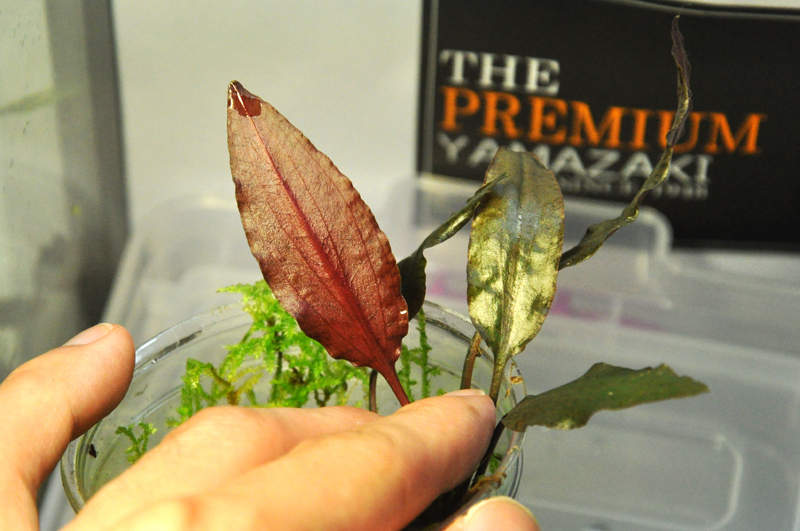 Cryptocoryne cordata var. siamensis is characterized by its rouge abaxial leaves and variegated adaxial leaves. To my surprise, sometimes the adaxial leaves present tiny red dots shining under the light. Yet such beauty can hardly be observed by unaided eyes. Let's see the rouge dots under the analytical microscope . The rouge dots are distributed densely across the leaf surface, and are easier to be observed on the rinsed leaves. In fact, the rouge dots are cells containing anthocyanin (I think), so we generally don't notice the presence of rouge dots. If there is no water on the leave surface, the epidermal cells will reflect the light intensely. This is the reason why I need to rinse the leaf before observation.